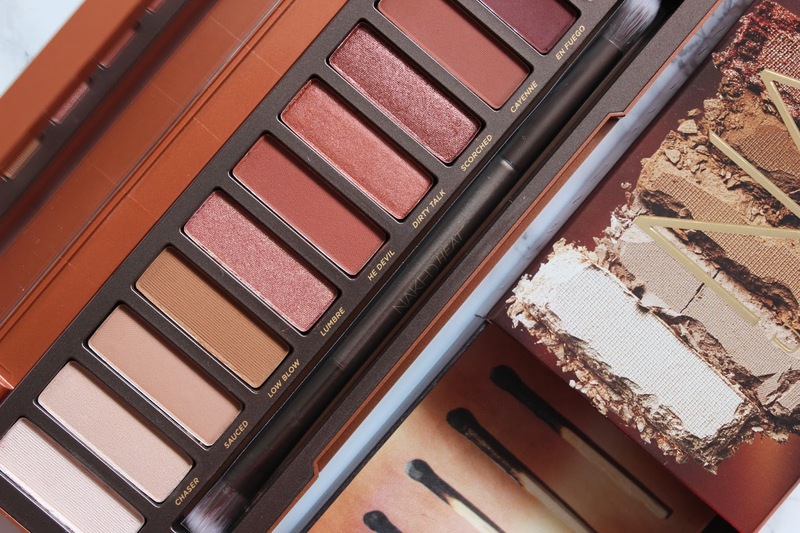 Urban Decay Naked Heat is the eyeshadow palette to have in your beauty stash this summer. 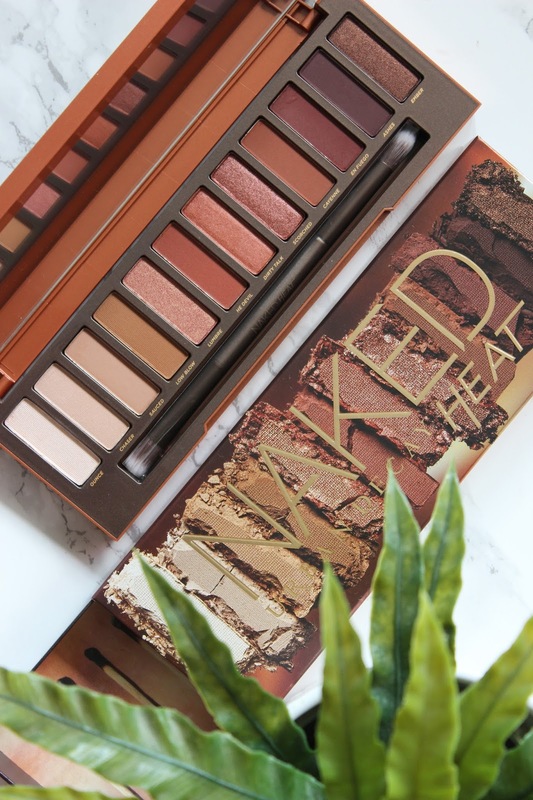 The fifth offering from the cult-fave UD Naked collection has a fiery assortment of shades and the gorgeous, summery palette has been met with much excitement. So much so, being the beauty addict and Urban Decay devotee that I am, I went batshit crazy and spent 45 minutes obsessively refreshing the UD website during the flash sale (deep breaths into a paper bag were useless). The pre-release set the internet on fire, but I managed to nab one after finding a direct link on Twitter before it sold out. I may have blindly bought Naked Heat, but it was a no brainer as I love warm toned eyeshadow palettes and I can confirm it’s bloody lovely. Urban Decay Naked Heat has the same set-up as their other palettes and includes a full sized mirror and a dual ended brush. It houses 12 all new shades a medley of burnt oranges, butterscotch, browns and coppers with a mix of shimmer and matte finishes. These shades make my blue eyes pop and although I have similar colours in my collection, this is a major win in my opinion as two of the shades are almost exact dupes for my top two most worn Makeup Geek eyeshadows. I do find a few of the shades get a little lost when applied together on the lid and my only gripe is I wish it had a bright gold. For this reason alone, it’s not a one stop palette. But as I’m in the midst of matte obsession and Naked Heat has several stand-alone shades that add a bit of somethin’ somethin’ to my lids and look beautiful paired with shedloads of mascara, it meets my makeup needs. UD Naked Heat had been heavily criticised online prior to its launch as many have argued the pigmentation isn’t up to scratch, but personally I’ve not had any issues. A few of the more shimmery shades do require a little MAC Fix+ when paired with other shades to help make the pigment pop. But overall, they blend beautifully and have that buttery smooth original Urban Decay Naked formula we all know and love. Ounce: a light, beige with a mild pearl shimmer. 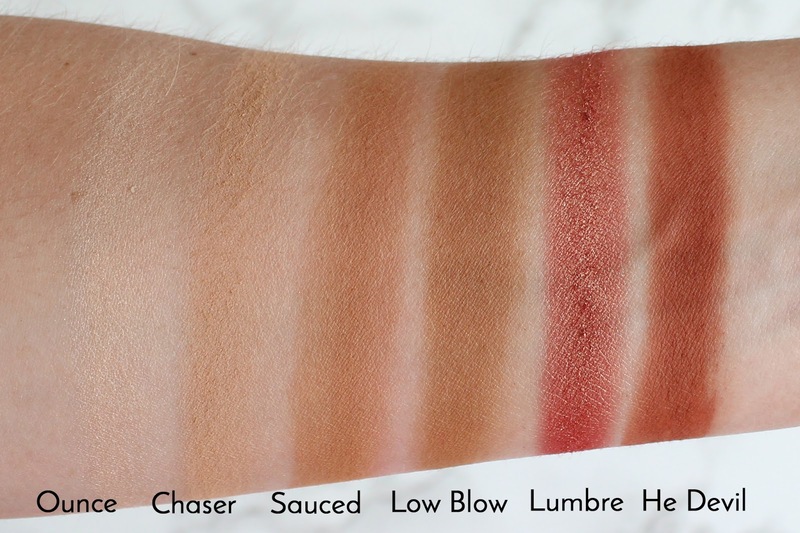 Chaser: a very light brown with warm, peachy undertones and a matte finish. Sauced: a medium brown with a hint of orange and a matte finish. Low Blow: a medium brown with warm and a matte finish. Lumbre: a medium, coral-red with warm undertones and a golden sheen. He Devil: a medium, reddish-brown with warm undertones and a matte finish. Dirty Talk: a medium-dark coppery brown with warm, orange undertones and a metallic sheen. Scorched: a muted, dark brown with warm undertones and a metallic sheen. Cayenne: a muted neutral dark brown with subtle, warm undertones and a matte finish. 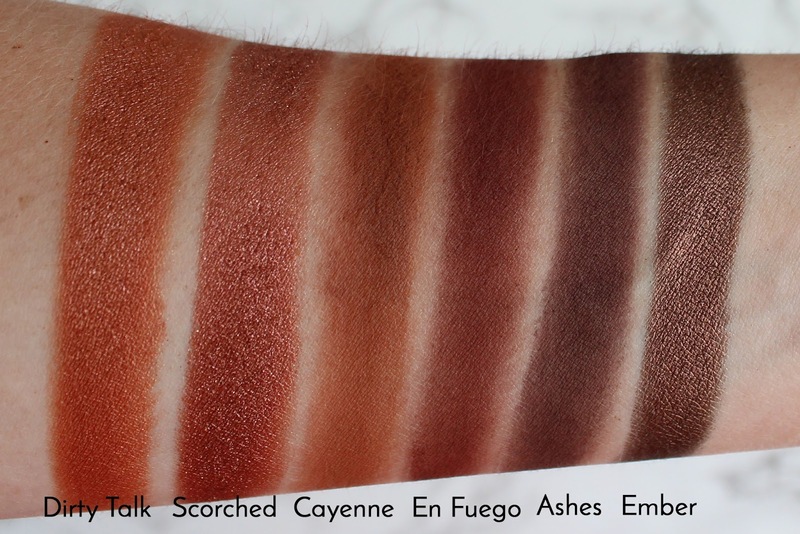 En Fuego: a muted dark reddish plum with subtle, warm undertones and a matte finish. Ashes: a dark plummy brown with subtle, warm brown undertones and a matte finish. Ember: a deep plummy bronze with an olive undertone, with a frosted sheen and slight pink shift. Urban Decay Naked Heat is a nice addition to the Naked line-up and is a worthwhile investment if you’re looking for a product to transform your collection this Summer. It’s on sale officially 27th July retailing at £39.50 via this link. And yes, it might break the internet, so if you haven’t got your hands on it already, I’m afraid to say it might be a long wait. So pop the date in your diaries, as this is one to add to your basket! What's your thoughts on the Urban Decay Naked Heat Eyeshadow Palette?